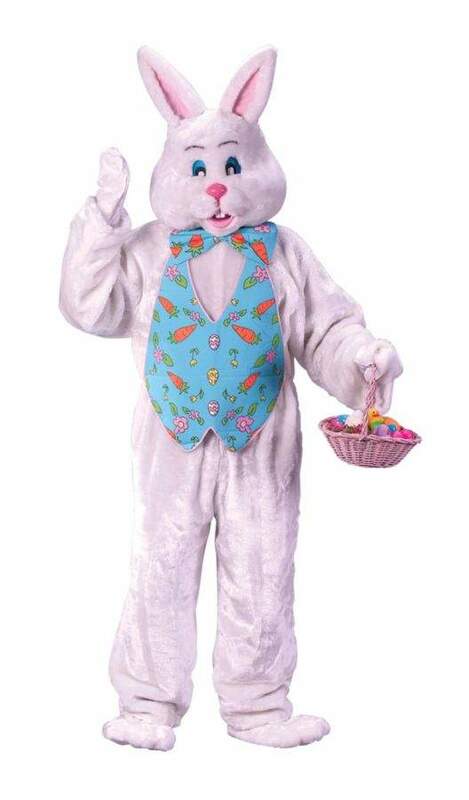 Bring the magic of Easter into your home with this Easter Bunny costume. This costume includes: Plush jumpsuit, deluxe mascot style head, hands, feet, and colorful vest with matching bowtie. One size fits most adults between 5 ft 6 in. and 6 ft tall and 140-200 lbs. Includes open faced bunny hood if you dont want to wear the mascot head, this will allow your face to show. Basket not included.